Transition metals are divided into three classes: the first, second and third series. The largest group of elements in the periodic table are the transition metals. According to the IUPAC, (acronym for International Union of Pure and Applied Chemistry) a transition metal is any element with a partially filled d electron sub-shell. This describes groups 3 through 12 on the periodic table, although the f-block elements (lanthanides and actinides, below the main body of the periodic table) are also transition metals. The d-block elements are called transition metals, while the lanthanides and actinides are called "inner transition metals". The English chemistry Charles Bury used the term “transition metals” in 1921 to describe the transition series of element. They look like metals, they conduct heat and electricity, they are malleable and ductile, and they form cations. Two of the best conductors of electricity, copper and aluminium are a transition metal and a main group metal respectively, and this shows the extent to which the physical properties of this 2 main group of chemicals overlap. Many of the elements are technologically important: titanium, iron, nickel, and copper, for example, are used in almost any electrical technology component. The transition elements form many useful alloys with one another and with other metallic elements. Finally, most of these elements dissolve in mineral acids, although a few, such as platinum, silver, and gold, are called “noble”—that is, are unaffected by simple (non oxidizing) acids. Some of the transition elements are important to the biochemistry of life.The most familiar examples being iron and cobalt. Iron can be seen as the most common and important transition metal that has many function in living systems; oxygen transport and electron transfer reactions just to cite two of them. Cobalt is present in the vitamin B12, which is essential in humans, Vanadium is present in high concentrations in blood cells of some fish. Example of the central roles that transition metal play in the human, animal and plants are endless. The transition elements may be classified based on the electronic structures of their atoms into three main transition series: the first, second, and third transition series, and two inner transition series, called the lanthanoids and the actinoids. These three main transition series are included in the set of 30 elements often called the d-block transition elements. The elements of the second and third rows of the Periodic Table show gradual changes in properties across the table from left to right. What happen is that the electrons in the outer shells of the atoms have little shielding which results in an increase in effective nuclear charge due to the addition of protons in the nucleus. This trend continues until one reaches Calcium. Consequently, the effects on atomic properties are: smaller atomic radius, increased first ionization energy, enhanced electronegativity and more nonmetallic character. After the Calcium, this trend stops and the next ten elements belong to the first transition series and they are remarkably similar in their physical and chemical properties. Elements of first transition are more reactive than the elements of second and third. This general similarity in properties is due to their relatively small difference in effective nuclear charge over the series. This occurs because each additional electron enters the penultimate 3d shell and proves an effective shield between the nucleus and the outer 4s shell. 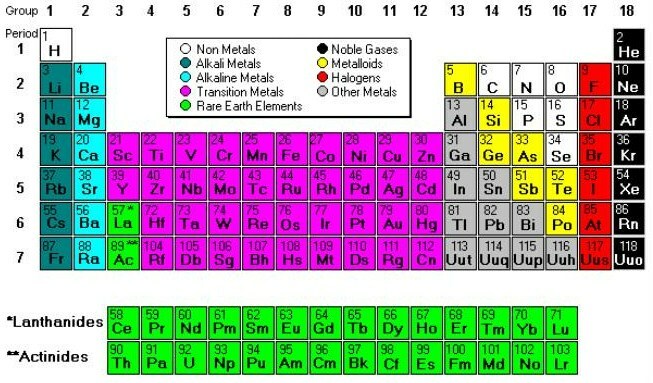 Second and Third Transition Series elements are also called Heavy metals. The second transition series goes from Yttrium ( Z= 39) to Cadmium (Z = 48) while the third transition series goes from Lanthanum ( Z = 57) to Hafnium ( Z=72 ) to Mercury ( Z=80). Ruthenium, osmium, rhodium, iridium, palladium, and platinum are the "platinum metals". 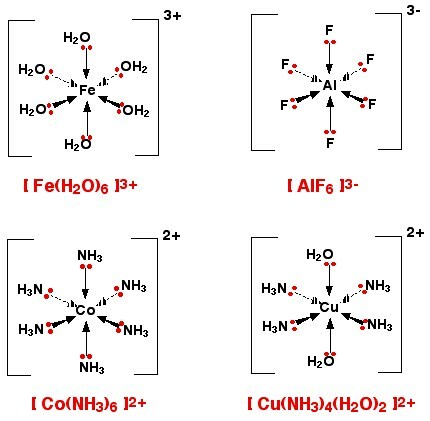 Cr3+, Fe3+, and Co+2 form colorful hydrated ions that are stable in water, while Mo3+, Ru3+, and Ir+2 are unstable and react readily with oxygen. On heating, oxygen reacts with all of the transition elements except palladium, platinum, silver, and gold. Figure 2: examples of ligand complex.